“Godmother” Came out on the 20th of June 2017. For more information, visit my author Facebook page. Available on amazon.com, Alibris, Barnes and Noble. This Memoir might be of interest to you because, although Rosen Method is not the main focus of my Memoir, it tells how I came to Rosen Method. I found the Rosen Method as a calling at the end of a long search for healing, at age 50, guided by some unconscious vague sense of what I was looking for. I knew it was “not this, not that”, not just psychology, not just psychoanalysis, not just becoming a meditation teacher, nor a teacher of eastern practices, not just hatha yoga nor bhakti, nor kundalini, nor tantra yoga, and not dance therapy either. I studied Eutony and Feldenkreis, but although all were most beneficial to my own personal process, none felt as my calling, my life’s work, as a practitioner or teacher. I had been leaning towards practices which included the physical body and the emotional body, slowly integrating head and heart. When a new friend invited me to receive a training session supervised by Marion Rosen, I had never heard of the Rosen Method. At the end of their work together with me as their patient, listening to them and sensing their hands on my body, I knew I had found It. I did not know why, but I was convinced that this was my work, I recognized it, as if I had it in me all along waiting for me to get it. I had no idea where this feeling came from, and I did not mention it to anyone. I went through the 3-year long training including internship as fast as I could, got certified, called myself a Rosen Method practitioner and started seeing clients . Almost overnight I had a full practice. This was it. This was exactly what I had always wanted to do. It’s only a few months later, after seeing one my clients, at the end of the day, that I remembered the defining healing experience I had when I was 8 years old. To read the full account, get the book! Odile Atthalin is a Berkeley, California writer, certified teacher and practitioner of Rosen Method Bodywork. 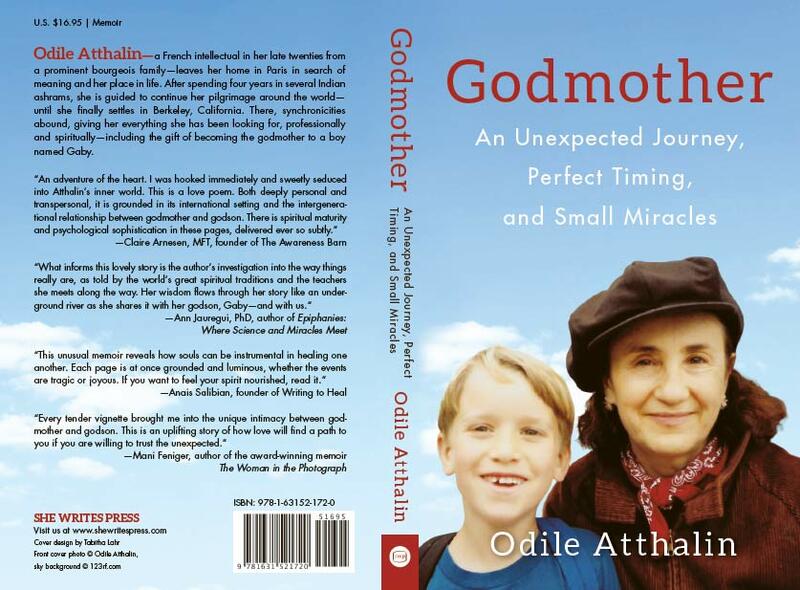 She teaches weekly classes in Rosen Method Movement and Dance and is author of the book 'Godmother: An Unexpected Journey, Perfect Timing, and Small Miracles'.